We are the leading service provider of Rodent Control Services. 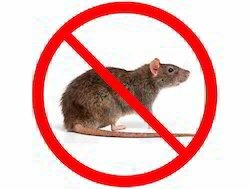 In order to eradicate various species of rodents from an area, we are offering Rodent Control Services. The services offered by us help in preventing like plague, leptospirosis, salmonellosis, trichinosis, typhoid fever and others. These services are active at times of the day & night. Danger of contamination & infestation is reduced by their active presence in working premises. We offer these services to the clients at market leading prices.